The remarkable thing about pregnancy is that everyday is different from the day before. Every week you can discover new things about your baby and you. Subsequently, you have to make certain lifestyle changes .and learn how to enjoy your pregnancy to the fullest. Pregnancy is also divided into three trimesters, each consisting of 3 calendar months. In addition, lunar months are used to describe events occurring during the pregnancy. A lunar month equals 28 days, and a pregnancy lasts 10 lunar months. 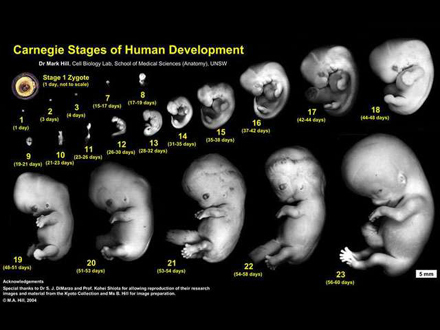 Most of the development of the foetal organs takes place during the first trimester. At the beginning of this phase, the ovum is a single cell. By the end of the 12 week or third lunar month, the fetus is recognizable as a human and the placenta is fully functioning exchanging nutrients and waste products. The second trimester is a time of continued development. Most of the foetal growth and maturation of the organs takes place during the third trimester. Usually foetal development is divided into three Trimesters.